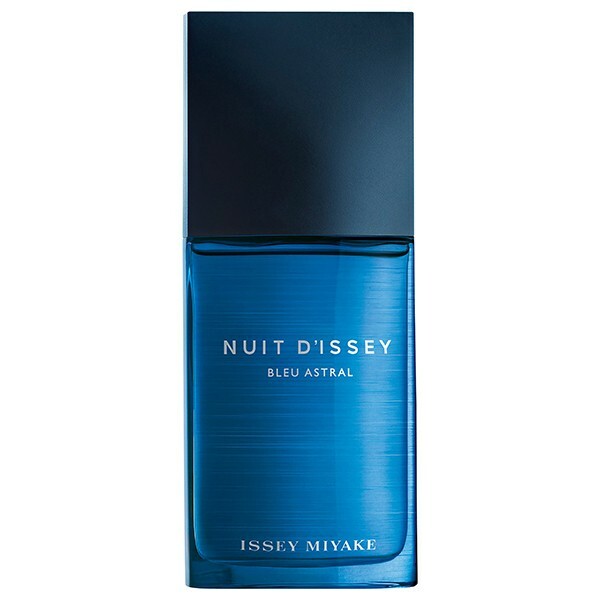 Nuit d'Issey Bleu Astral comes out in February 2017 as a new edition of the Issey Miyake masculine L'Eau d'Issey Pour Homme line, namely its Nuit d'Issey subcollection. The new Nuit d'Issey Bleu Astral is announced as a romantic scent evoking the dark blue starry night sky. Inspired by the night and scents of nature, Nuit d'Issey Bleu Astral offers a "new olfactory journey" with aromas of lime, Russian coriander, skin and amber wood.